With the start of classes and campus life back in full swing, the University Place Promenade is becoming another destination point on campus for activities and interaction. Given the many possible uses for this new campus resource, and already high level of interest by campus groups, a new interim policy will be adopted to maximize its use. Similar to the longstanding policy promoting the use of the University’s Quad, the interim policy will encourage the safe and appropriate use of the Promenade. A permanent Promenade policy will eventually be created, after gathering comprehensive feedback and input from students, faculty and staff. The draft Campus Framework, which was shared with the University community in June, calls for dramatically enhancing the student experience. The Promenade, which features activated plazas, improved landscaping, increased ADA accessibility and a greater sense of physical connectedness for all members of the campus community, is a key component of that goal. The interim policy highlights how the Promenade improves accessibility to the connecting academic and student buildings—the Goldstein Alumni and Faculty Center, Bird Library, Schine Student Center and the Newhouse School complex—and creates a new student life district that invites a variety of new uses and benefits through its welcoming design and features. Among other features, the interim policy maintains that any activities must not hinder pedestrian traffic, ensuring that the Promenade will always be open to pedestrians. It also notes that the Promenade always serves as a fire lane for emergency vehicles to reach surrounding buildings. 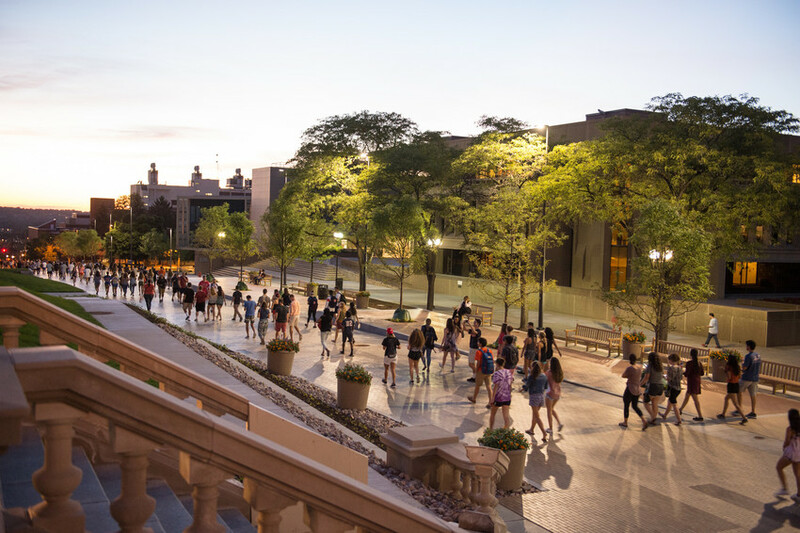 Those interested in reserving space on the Promenade pedestrian plaza and terraces for Syracuse University-related activities or events must reserve the spaces through an academic or administrative department or a registered student organization. Requests can be made, beginning Monday, Sept. 12, through the Student Centers and Programming Services (SCPS) website. For questions on the interim policy, contact SCPS at 315.443.4240, or visit the SCPS website. To review the draft Campus Framework and to provide input via the public comment section, please visit http://CampusFramework.syr.edu. Additionally, the campus community is invited to participate in one of the many open forums being held this semester.